It doesn’t seem two minutes since my last blog when I said that I couldn’t wait to find out the specifications so that we could start preparing for the final. We now have these and there have been a few surprises this year. I’m delighted to be working with Irish steer beef fillet, however, we won’t know what the fish will be until the end of November. We were expecting some changes to the competition as our Sirha contact, Anne-Sophie, had given us the heads up. However, the fact that the candidates will only have two months (previously candidates had six months) to create and practise the fish plate was a surprise. Other changes include points for incorporating national influences into the dishes and having to create a garnish using seasonal ingredients sourced from a Lyon market - the competition is in January so I don’t think there’s going to be a wide choice! 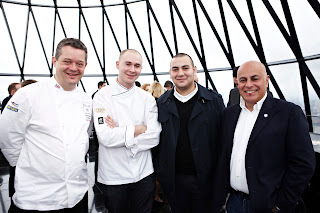 All this was announced at the press launch for both the Bocuse d’Or and the World Pastry Cup at Searcys at the top of London’s Gherkin last Monday. Many thanks to GL Events, Andre Dang and Valrhrona for organising. 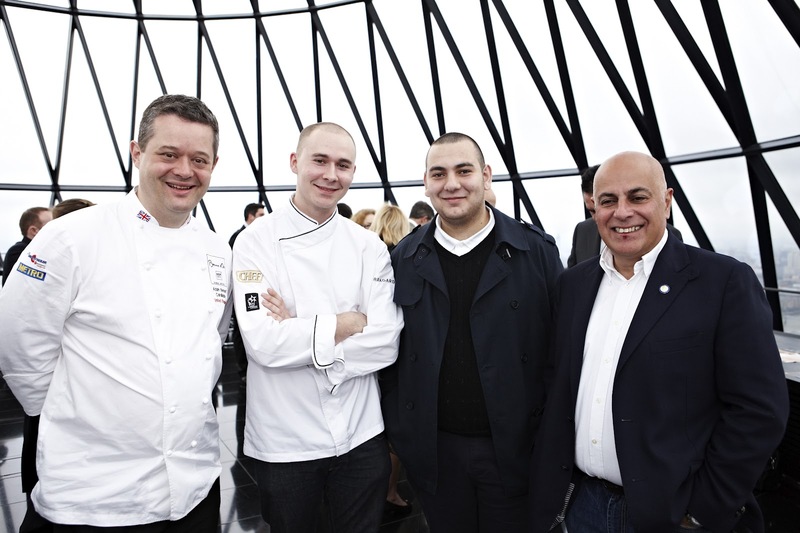 It was great to see some of our sponsors there too, including Ritter Courivaud, Nestle Professional, Villeroy & Boch, Rougie and Classic Fine Foods and Compass Group and to catch up with previous UK candidate Andre Garrett. The new rules provide us with a few challenges but I’m excited by the changes. I’ve been cooking for 25 years and the Bocuse d’Or is probably the greatest test of culinary and creative skills in the world. Now where’s that beef?